Alex had lumbar x-rays taken last year, and was told they were normal. Alex still has back pain and it’s really getting him down. Alex contacts Dr Paula Moore about his back. He wonders if Paula can look at his old xrays and tell him what’s wrong. Chris gets a lot of headaches and lately has been taking too many pain killers and time off work – her boss isn’t very happy. She noticed over the last few years she has developed a forward head appearance and it’s really affecting her confidence. Chris Googled forward head posture, and found Paula, who suggests she gets neck x-rays taken. Chris gets her neck x-rays taken through her doctor and sends screenshots of each image to Paula for a 2nd opinion. Back pain is the most common type of chronic pain. Most doctors, personal trainers and instructors are not trained to look at posture structurally – and therein lies the problem. 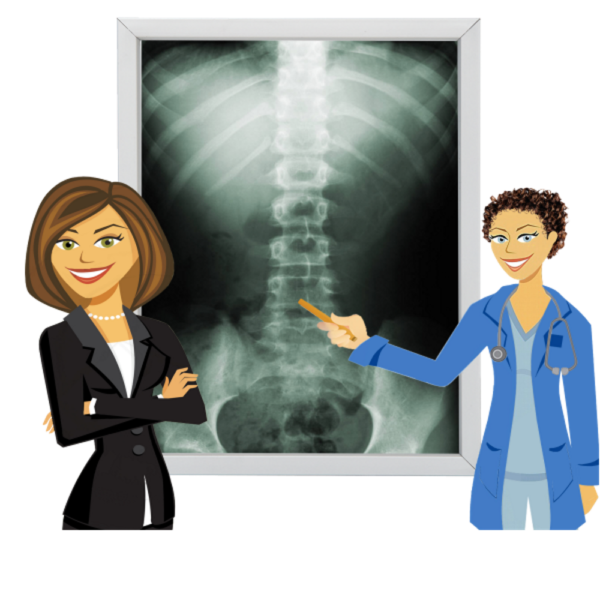 Most don’t even learn about the detailed structure of the spine, because they don’t learn to take or read x-rays. Most medical doctors use x-rays to diagnose medical conditions, but not to measure or interpret your posture. As a result, many of you have experienced the frustration of going from manual therapy and medication to injections, and finally to surgery – without ever addressing the true source of the problem – the structural alignment of your body and spine. An early structural diagnosis (using CBP analysis) is vital to understanding your posture, easing your pain and minimizing further damage. Except as expressly stated, we do not recommend or endorse any specific tests, physicians, products, procedures, opinions, or other information that may be discussed in this report. Reliance on any information in this report is solely at your own risk.